One of the biggest advantages of running an online business is that it’s inexpensive to start. For as little as $5 per month, you can launch a business that can potentially make you 7 figures and beyond. Now as far as online business models go, most people gravitate towards starting a blog, an Amazon affiliate store (niche affiliate site) or an online store and I’ve been reasonably successful with all 3. For example last year, my blog made over a million dollars from advertising, affiliate marketing and digital product sales. My ecommerce store also had a record year and we’ve grown in the double and triple digits for the past 9 years. 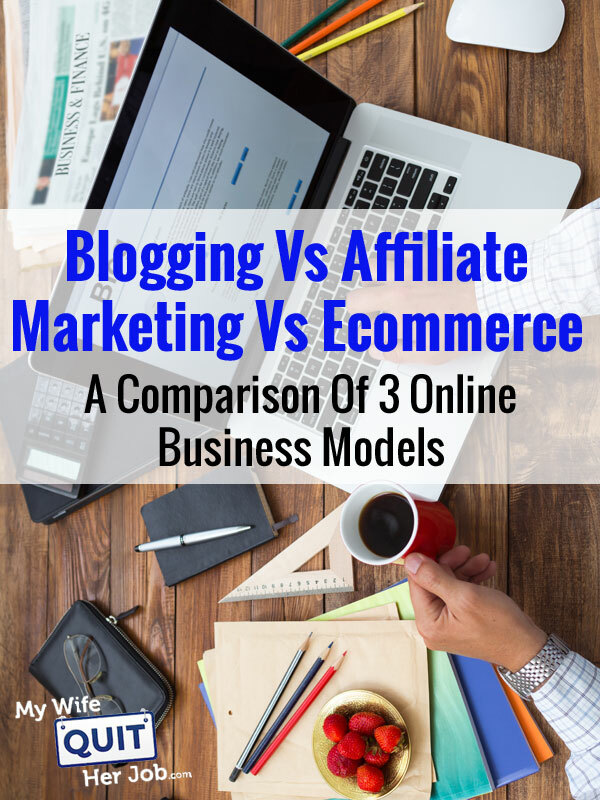 So today, I decided to do a thorough comparison of blogging, affiliate marketing and ecommerce to help you understand the advantages and disadvantages of each business model. As with all things in life, there is no single, superior solution that meets everyone’s needs. The key is to understand the pros and the cons of each option and choose the business model that best suits your personality and goals. As I mentioned above, I’m going to compare blogging for profit vs running an online store vs creating a niche affiliate site. And these 3 models will be evaluated based on the following criteria. Barriers To Entry – How hard is it for someone to copy your business? Sustainability – What is the long term viability of your business? Most people are attracted to blogging because it’s really easy to do and requires very little upfront cost. In fact, you can start a blog for as little as $4.95 a month. The biggest problem with blogging is that making money and attracting an audience is extremely difficult and takes a tremendous amount of unpaid time and effort. In fact whenever someone asks me what I think of blogging, I call it a slog. In terms of revenue velocity, blogging is by far the worst method of making money in the short term. And when it comes down to it, you only have a few options when it comes to monetization, selling advertising, becoming an affiliate marketer or starting a paid membership site. Note: I don’t classify selling your own products on your blog as “blogging” because by selling a product you are essentially creating an online store. Based on experience, MyWifeQuitHerJob.com didn’t start making any money at all until well over 8 months had passed. And during those first 8 months, I was working my tail off writing articles 3-4 times a week to make at most a few hundred dollars per month! In fact, I don’t believe that I broke 5 figures in revenue until after 3 years had passed! 3 years!!! Of course, I’m much more competent now than I was during those first 3 years but let’s take a quick look at some revenue per visitor comparisons to illustrate my point. For my online store, my revenue per visitor is on the order of dollars. However for MyWifeQuitHerJob.com, my revenue per visitor from advertising and affiliate revenue (not counting my online store course) is on the order of cents. In other words, my store makes over an order of magnitude more money per customer than my blog. However despite the difference in revenue, I get much more satisfaction from running MyWifeQuitHerJob.com. There’s something very fulfilling about being able to write an article and have thousands of people read it and for some people, this is more valuable than money. In addition, I never would have been able to launch my Create A Profitable Online Store Course had it not been for my blog and the audience that I built up over the years. I’ve also developed many valuable friendships and met many new colleagues through blogging that have been priceless. The big advantage of blogging is that it is extremely portable and scalable. You can write articles from anywhere in the world and you will probably never need to hire additional staff as your audience grows. However, the main problem with blogging is that it will take you a long time to make any significant money. And the harsh reality is that most people quit before the money starts rolling in because it takes tremendous patience and willpower to succeed. The biggest advantage of blogging is the sustainability factor. By putting yourself out there and writing from experience, you are doing 2 things. One, you are building an audience of loyal fans. And two, you are establishing yourself as an authority within your niche. People who follow you will be highly receptive to what you have to sell. For example if I were to ever launch another ecommerce related product, a single email to my list would generate instant sales. If I want to become a professional speaker, I could easily do so based on the authority that I’ve established. Overall, blogging opens intangible doors that benefit you in the long run but aren’t readily quantifiable in terms of short term dollars. Another popular online business model is niche affiliate marketing through Amazon or other affiliate software/services. 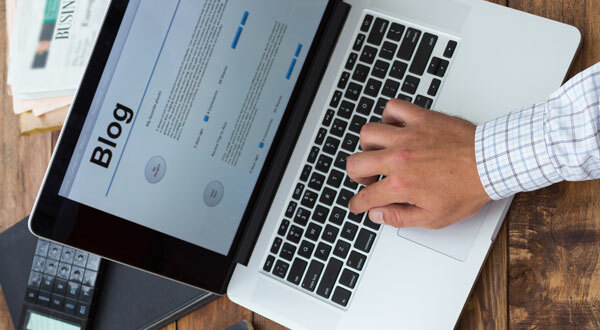 By creating a website for the sole purpose of ranking for a specific keyword term, you can refer customers to a related business and get a small cut of the sale. Niche affiliate marketing is attractive because it costs very little to start and requires very little upkeep and maintenance once traffic has been established. Similar to blogging, all you need is a WordPress website. A niche affiliate site carries a lot of the same disadvantages as blogging when it comes to revenue velocity. In other words, you have to work your tail off for a very long time before you can amass enough traffic to make any money at all. And in most cases, niche affiliate sites rely solely on the search engines for their referral traffic. As you are probably aware, Google is continuously updating their search algorithms and many niche affiliate sites have been torn apart over the years because they no longer rank in search. Unlike an online store or an authority blog with an established audience and customer base, niche affiliate sites by comparison are extremely fragile. In fact without search traffic, niche affiliate sites tend to wither away and die. The other disadvantage of a niche affiliate site is that you will never establish your own customer base. Once a referral is made, that’s it. If that customer wants to make a purchase again, do you think that they’ll go through your niche site again? No way! Referred customers usually go directly to the affiliate vendor for repeat purchases. Niche affiliate sites also have a really low barrier to entry. In fact, most marketers keep their niche affiliate sites a secret so that no one else can copy them. Running a successful niche site is all about picking the right keywords so that you can rank in the search engines. Because it is so quick, easy and inexpensive to put up a website thanks to WordPress, there’s really nothing stopping anyone from taking your keywords and copying your website idea. The one thing that a niche affiliate site has going for it is portability and scalability. In most cases, niche affiliate sites can be a set it and forget it endeavor. And they are so easy to throw up and maintain that many affiliate marketers put up a bunch of sites to “diversify” their portfolio. By constantly putting up new niche affiliate sites to replace those that have fallen, affiliate marketers can mitigate their risk by not putting all of their eggs in one basket. And the best part is that niche affiliate sites can be run from anywhere. There’s no inventory or customer service involved whatsoever! The main problem with affiliate marketing is that you are always at the whim of the companies you promote. For example Amazon recently slashed their affiliate payouts which negatively affected thousands of bloggers overnight. Back when I depended on affiliate marketing for the majority of my revenue, I lost 6 figures per year rather abruptly when 2 of my main affiliates decided that they didn’t need an affiliate program any longer. The problem with affiliate marketing is that companies need affiliates early on to gain traction for their businesses. But they need you much less once their business matures. For the 2 affiliates I lost, I put in a lot of sweat and tears to rank posts in Google specifically to promote these companies and now they don’t make any money at all. If you couple this with the fact that a single Google algorithm change can wipe you out makes niche affiliate marketing the least sustainable model of the bunch. Starting an online store that sells either physical or virtual goods is by far the fastest way to make money online and it can be inexpensive too depending on the business model. In fact, I put together a monster post that compares 8 different ecommerce business models that you should definitely check out. But here’s the bare minimum investment you need to begin if you want to start your own ecommerce website. Or you can signup for a fully hosted shopping cart like Shopify or Big Commerce that will do most of the heavy lifting for you at a cost. If you want to sell on Amazon, you can get started for just the cost of inventory. There are several reasons why an online store will make you more money than a blog or a niche affiliate site. For one thing, you are selling your own goods which means that you will make the most profit per sale. As a result, you need far less conversions in order to make an acceptable level of profit. The other advantage is that since your profit margins are so much higher, you can actually buy your traffic through PPC services like Adwords, Facebook and other forms of advertising. This means that you can completely bypass the initial slow period of your website and start making money right away. With blogging and niche affiliate sites, you can’t make enough money per sale in order to make these advertising mediums worth the cost. The extremely high revenue velocity of an online store was what attracted my wife and I to go the ecommerce route over all of the other business models. As a result, we were able to make over $100,000 in profit after only a year of being in business. Unlike the other online business models, the sole purpose of an online store is to carry goods that are ready to sell for an immediate profit. Therefore, an online store is probably the quickest way to make money online. Opening an online store also carries other advantages as well. Because you have to secure vendors in order to source your goods, the barriers to entry are much higher than any of the other business models. If someone were to try and copy your online store idea, not only would they have to copy your website but they would also have to find the vendors you are using to source your products. If you choose to go the dropshipping route or the Amazon FBA route, an online store can be extremely portable as well. Because you are only taking orders and not fulfilling them yourself, it doesn’t matter whether you are running your business from home or in a foreign country. As long as there’s an internet connection, you can work on your business from anywhere. Likewise, the lack of order fulfillment on your part makes a dropshipping business or an Amazon business extremely scalable as well. As the number of orders increase, you don’t necessarily need more manpower. While you may need more staff members for customer support, you will never need to worry about warehousing your products. The best part is that starting an online store carries sales momentum. If someone makes a purchase from your online store, a good portion of your customer base will become repeat customers (doesn’t apply to selling on Amazon) and tell their friends about your business as well. As a result, over time your business will grow organically as word of mouth spreads about your shop. The one big disadvantage of running an online store is that you will always have to provide customer service. Unlike affiliate marketing where you are simply referring a sale, an online store must stand by the products that it sells. 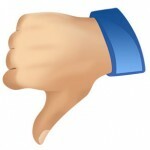 As a result, you have to deal with customers who are unsatisfied with their purchases. Depending on the nature of your products and the expectations, this may or may not be a lot of work. If you carry inventory with your shop, the capital requirements are also much greater with an online store than the other business models. With our wedding linens shop, we have to spend hundreds of thousands of dollars on inventory every year to fuel our growth. If you control your sales channel and sell your own branded products, running an online store is one of the most sustainable business models out there. Similar to blogging, you are establishing a brand and building a following for your business. Fans of your ecommerce store will buy from you over and over again and you have full control over your customer list. In addition because it requires more effort and capital to sell your own products, it is less likely that people will invest the time and money to copy you. If you are still having problems deciding which online business model to pursue, you should take into account your current mindset. Blogging Mindset – I want to be well known and create an audience. Money is less of a concern in the short term. Hope this article helps you in your decision. Ultimately, there’s no reason not to try all three! Great info on segmentation of the types of websites you can create and monetize on plus the pros and cons of each. Question – you mentioned it takes 8 months to start see the benefits of a blog, so between 0-8 months, is your revenue zero? I actually didn’t even attempt to monetize my blog until later on once I built up some decent traffic. Every advertisement and banner takes potential readers away from your website which is not conducive to building an audience. So while you can potentially make some money early on by monetization, I wouldn’t necessarily recommend it. In the beginning, you want to get as much traffic as possible until you reach the tipping point. Thanks Steve, when do you think that tipping is? If you were to start all over again, would you still have opened your online store before your blog? Knowing what you know now, how would you have done things differently? Great insight. I am on the way to make a profitable website. Your blogging gave me so much clear information. Just want to say thank you. Now I know that my strength is online store not blogging and affiliate marketing. Thank you for sharing, an online business requires inventory, however an affiliate website does not require inventory, hence the lower barriers to entry. However, writing comes from passion, and i have been reading your website and coming back to it again and again, and I remember your website very well as the domain name is very memorable and what most women want to achieve – the dream to work and stay at home and take care of the kids. I am very inspired by your articles. Our drop shop program is quite successful, and several of our drop shippers do earn full time from drop shipping skin care products. it is a lucrative business to be in, with the right mindset and perseverance to succeed. This was the most interesting article on the topic I’ve read. Everything you mentioned makes really intuitive sense. Thanks. Another model is an online business reselling services. It has the benefits of having a low entry fee. Can work very successfully if you target a local area, for example reselling graphic design services in your city. I like your idea but where do you find the original supplier in the first place? Fiverr? Interesting, I never thought of this comparizon. However, I’d like to say it’s possible to get a correct income in less than 6 month with a blog. Many people can manage to earn 500€ after 6 month, and if you decide to live in a place where life is not expensive, you don’t need much more. The big benefits of writing a blog is that it is incredibly convenient and scalable. You can create content from anywhere on the globe and you will probably never need to seek the services of extra team as your viewers develops. There are also more high tech related startup models like saas & marketplaces but these are something you may want to attemp after decent experience online. Love this article, I’m still unsure how to make this work with a business where I work with people one on one (consulting/life coaching type of businesses). Hi Noreen. Is there any way you can create products to sell to your clients from your website? Like ebooks on subjects to help better a client’s life? For example, maybe a quick guide to motivation. i think affiliate marketing is very profitable business. I’d like to know: what’s the best option: installing an open source shopping cart or going with wordpress (woocommerce)? Great read as usual Steve. Bunch of thanks for the info! Would be enrolling in your course once i get the bits of cents and dollars that I need… your tidbit info alone would be enough to tell you to take my save up money, ha! You say this about an online store. The other advantage is that since your profit margins are so much higher, you can actually buy your traffic through PPC services like Adwords and other forms of advertising. Adwords are so costly and cost can run away. We are unable to bypass the initial slow period. It has taken over twelve months and still no traffic through our seo efforts. Nice article explaining the difference between the three. Very true about blogging, it gives true satisfaction to write our thoughts and have others be influenced and inspired by them. And the key to success is consistency in taking action and not giving up. Great article. I didn’t know anything about this internet marketing and blogs, but you explained it very well Steve. Simple and direct, I already bought a domain name on godaddy (the price is cheap, is that ok?) and I am thinking what to do next. Should I go for WordPress or a simple blogger blog will do? Thanks! I’m partial to affiliate sites since I feel my personality is more suited to this line of work (which is why I’ve just gotten started recently.) First, securing vendors can be a time consuming process if you don’t already have pre-existing relationships with them which ups their revenue velocity. Second having lots of hobbies and interests seems to be a huge asset in affiliate marketing. (Since you’re also Asian, you can probably relate: I still remember my dad telling me after I failed out of grad school a decade ago: “boy, you got too many interests for your own good but it’s a shame Academia isn’t one of them”.) Barriers to entry is a concern but you can choose to put more focus on another niche if you current cash cow is getting saturated. Also, on the topic of passive income.. ever heard of the 4% safe withdrawal rule for conservative investment portfolios? Assuming I’m properly invested, a $300 investment would produce a passive income of $1 per month (12/300 = 4%.) With this valuation, an affiliate site that produces a sustainable income of $100/mo should be worth $30,000. Let’s say it took you 100 hours to build it.. the value of your time spent is $300/hr which is still more than what most jobs would pay for today. That’s not to say affiliate marketing is for everyone. I actually plan to use what I’ve learned here to start a store eventually using the profits from my affiliate marketing one day. It’s best not to put all of my eggs in one industry/basket. I run a niche affiliate blog. I disagree with the fact that it takes time. I believe that if you do your ground work very well by picking an already popular and best selling products, rank well with longbtailnkeywords , make sale is as easy as an online store. Wow! I’ve played around in all three areas. Made money in all 3 areas. And never really thought about these business models this way. I wanted to make money fast. So first I did the affiliate route. Then the blog. And last an ebay store. Even though I’ve made money in all 3. I wasn’t successful enough in any areas to stay. Because of this article I have direction. I’m going to build an online store to a certian point first (need money asap, but realistically). Put together an affiliate niche site (hands off and passive is for me). And teach people how to do the same. It’s crazy the clarity I have now. Time to get started. Just joined your course too! See ya on Wednesday! As a struggling aspiring entrepreneur, I just wanted to thank you so much for writing this article. I’m unemployed and contemplating my next move and have been struggling with these choices. Should I become an Amazon Associate? But there is an unknown in that. How long will it take? I need money now! I could sell a product but how to get the word out? I think after reading this article I have at least seen my options and have arrived at the answer for me. For me, I think selling a product via online store is my best bet. And I feel there is more control over my destiny. Its more upfront, face-to-face versus writing some articles and crossing my fingers that I will get traffic and all that. But of course, when I start getting some income from the online store I can then branch out into the blogging and affiliate sites. Thanks again for clearing that up for me! It has really helped me in my specific situation and I feel more confident going forward with my next move! I`ve recently found your blog and I really like it. A lot of useful information, especially for beginners. Hope to read new articles. Very interesting article. Here is a way to build a website with support. This is useful article for those who wants to work on Niche Blog. After this post surely, I will start work on niche blogs and try to earn few bugs from it. You Write such wonderful & resourceful article’s that I’m left in awe! Actually through your articles I got encouraged to start an online store for my MLM business products which you can visit at “www.gnldamazingsupplements.com”. However my only limitation is getting traffic for the same. Creating traffic is a nightmare considering my limited IT knowledge. Kindly visit the sight and share your thoughts. Thanks for the post. Good points. However the more I read I think even a retail online store will likely take a tremendous amount of work and/or advertising money to be successful. Perhaps if you have a very unique or handmade product it would be easier. But selling an existing product (say knives or cups for example) could be very difficult. I have not yet tried it but from listening to some of your posts and reading post from say shopify a lot of folks have decent sites and decent products but are not really successful. Just my thoughts. Thanks for your analysis of these three online biz. I am interested in the online store stuff but need some clarification. How much do you charge to teach one the online store? Can someone maintain his employment and run the online store? How long does it take for one to master operate the online store? How long does it take to make profit from the online store? Do you offer a pay after training? What is the guarantee that one will make profit from the online store? You Write such great and creative article’s that I’m left in wonder! Really, through your articles, I got urged to begin an online store for my MLM business items which you can visit at “www.gnldamazingsupplements.com”. In any case, my exclusive impediment is getting movement for the same. Making movement is a bad dream considering my constrained IT information. Compassionately visit the site and share your musings. I just completed my grads degree (Bachelor of Commerce). I had been taking crash courses online about writing, web design, and seo. With my entrepreneurial personality, I want to go the self-employment way. i must say that I’ve learned a lot from your site (and this article in particular). I believe at my age, I still have time to grow. I have done lots of ghostwriting on Upwork, the former Elance, and Direct Clients. I want to go the blogging way. I’m brand new to affiliate marketing and am currently building niche sites. I have 5 up and running right now and am working to improve SEO and get traffic. What has been your best source of traffic to your “money sites?” Thanks! Thank you for sharing, an online business requires inventory, however, an affiliate website does not require inventory, hence the lower barriers to entry. I tried to do dropshipping with Shopify a while back. One of the annoying issues was with the credit card processing – it was impossible to find any processor who would deal with non-US based accounts. Maybe there is one or two out there but I didn’t find them yet. Would setting up a US-based corporation solve this issue? If so, that’s going to be at least another grand to put into the business before even validating any products. Otherwise, I’m thinking that selling on Amazon (at least at first) – would be a bit easier since payments are made via Amazon and eventually I could go the Shopify route in the future after I have proven products. I also have the idea of dropshipping with Spotify but actually in a way that I make the combination of a eshop and an affiliate. So you see all the products on my website and the customer can choose where to buy it. Similar to comparison websites but only for one niche product. Are you or is someone familiar with this and is it as simple as I think to set this up? Thanks a lot for not just sharing what is the evaluation criteria, but also explaining the best models based on the criteria. From your expatiation I got the points like, blog needs no inventory where as the online store needs inventory. One can start a blog directly and can run it freely, but to start a online store, there is a need of inventory which needs a initial investment. Thank you for all the wonderful insight. Would you please tell me your thoughts on opening an online store but also having a blog to become and expert in the field. This would allow me to promote my items I’m discussing and then they would hopefully turn into more sales from other items i offer on my online store. 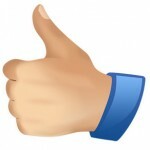 Thanks alot for sharing valueable reviews for the ecommerce store. that why i started my online store. where i sell turbans and all sikh items. I’m a bit confused, I want to sale different affiliates products on my online store, I do not make any recommendations on products, I simply add them to woo-commerce, use their description and photos and instead of shopping cart I place buy now buttons that redirects to merchants website. Question is, do I need to show FTC disclosures as I am not a blogger nor endorsing, reviewing any products? Is there any legalities that come with starting an ecommerce website? Would I need to file as an LLC or a sole proprietorship? Thanks for this fantastic post. Now, I know what business model should I choose first.